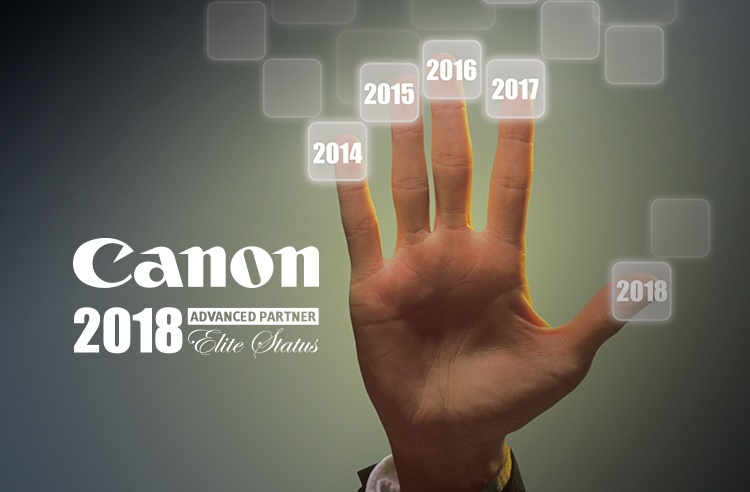 "We are thrilled and honored to be recognized by Canon for a fifth straight year," Datamax, Inc. President Barry Simon said. "We value our long-standing relationship with this innovative organization, and we look forward to continued success together moving ahead." This year, Datamax, Inc. celebrates its 35th anniversary of partnering with Canon. Simon credits Canon as being a key component to Datamax's sustained success in both Texas and Arkansas. Earning membership in the Advanced Partner Program is contingent on providing high-quality products and solutions with high-quality service and business practices. The program offers support and tools to help awarded businesses succeed, such as priority product and service training, access to Canon senior-level managment, sales support tools and enhanced ordering support. "Qualifying for this program means you provide high quality products, service and business practices," said Toyotsugu Kuwamura, Executive Vice President and General Manager Business Imaging Solutions Group, Canon USA. "With the Advanced Partner Program, we can take our relationship and your business to the next level." In addition to being named to the Canon Advanced Partner Program for a fifth straight year, Datamax is a Canon ATSP Service Provider (10 years in a row), a Konica Minolta PRO-TECH Service Provider (4 years in a row), and a Microsoft Gold Partner since 2006. Additionally, it has been recognized as an ENX Magazine ELITE DEALER AWARD recipient for the last two years, and voted "One of the Best Places to Work" by Arkansas Business for 2017.